From the moment we got engaged June 19th 2016, Mark and I immediately discussed arranging a meeting with Jane and her team at Ivory Lane Event Styling. We hadn't even considered any other wedding planners nor did we want to. I knew from the get go that Jane had the exact same vision in mind as to how we wanted the reception set up. We left our first meeting with Jane and Joel feeling confident and extremely excited. We had full trust in the Ivory Lane team knowing they would deliver exactly what we wanted and even more. Our wedding wasn't your average size, our attendance guest list came to a total of 358. So the Ivory Lane crew had a rather large task on their hands. We had chosen St Nicholas Catholic Church for the ceremony. And the Tamworth Town Hall for our wedding reception as it was the perfect size to accomodate all guests. As the months went by Jane had continually kept in contact with the both of us with further ideas and suggestions for our reception decor. 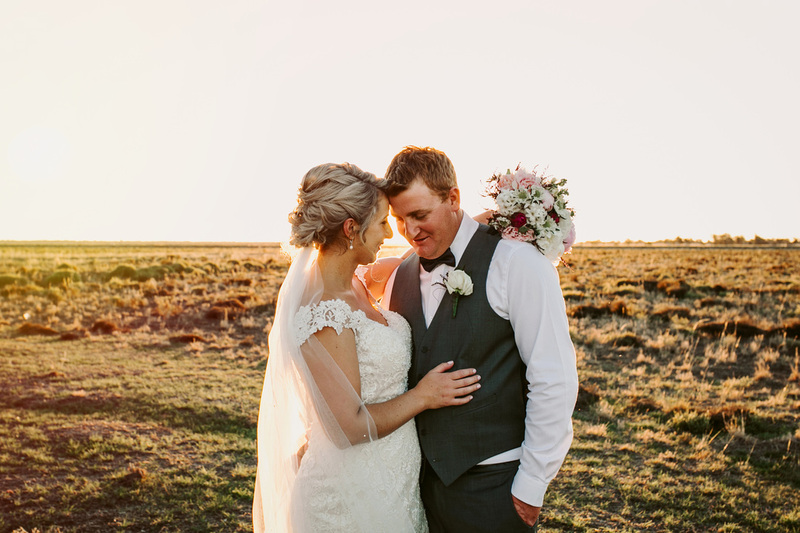 She had partnered up with Erin from Tall Poppy Florist in organising what was an insanely large amount of florals used on the day. Our table centrepieces were alternate 70cm gold flower stands as well as 70cm gold and crystal candelabras (35 tables in total). And above the bridal table hung 5 magnificent chandeliers that Jane had sourced to accomodate our styling perfectly. Courtney was also of much great help and went over and beyond to help create our dream wedding. Jane had suggested we hire Amanda and Erin on the day as our coordinators to make sure everything went smooth sailing and on time. This definitely was the best decision, we can't thank Amanda and Erin enough for all of their hard work on the day and all throughout the night. They are a great asset to the team and I know for sure we wouldn't of gotten through the night without them. From the gold and silver confetti used for our first dance to the Lebanese drummers, White stretch H3 Hummer, gold Tiffany chairs, chandeliers and candelabras, amazingly beautiful florals and stunning reception layout. Ivory Lane Event Styling sure do know how to create amazing spaces. The whole crew exceeded our expectations and delivered what was the most beautiful and perfect fairy tail wedding for the both of us. We cannot thank them all enough for helping us celebrate and create our dream come true. 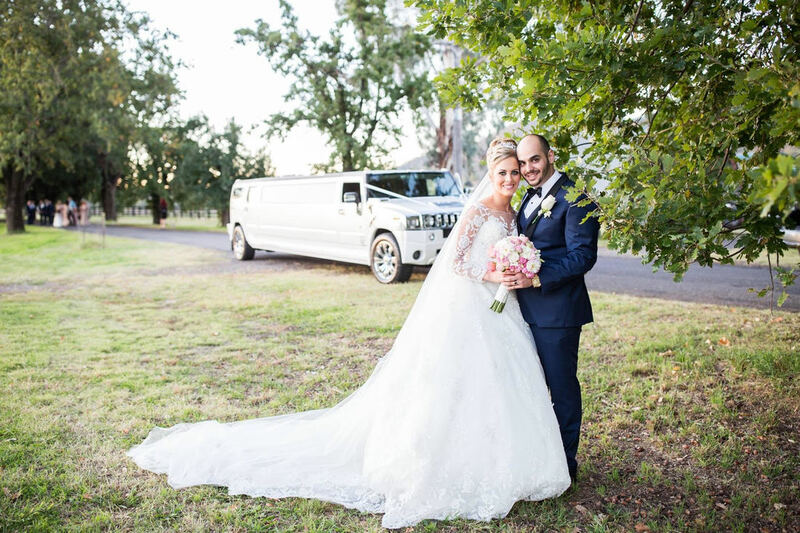 We highly recommend Jane, Joel and their crew at Ivory Lane Tamworth to all family and friends who are planning an event, function or wedding. Their professionalism and enthusiastic approach sure does show through their work. We never once doubted their abilities and had full confidence in Jane, Joel, Amanda, Erin, Courtney and the rest of the crew. Thankyou so much Jane and the team at Ivory Lane. 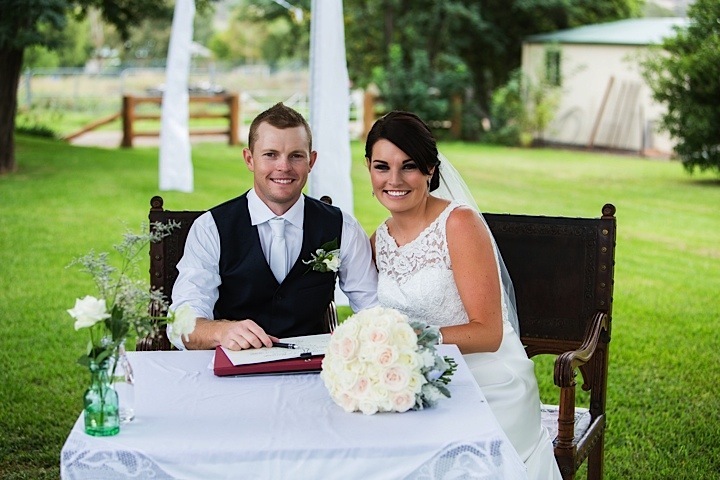 We were so blown away with the transformation at our wedding venue, from the stationery to the ceremony and reception setup. Everything was amazing and exactly what we were after. The professionalism and talent of Jane and team are exceptional. They made our day wonderful and stress free. I highly recommend them! Last but definitely not least, I can never thank you enough. Our day was perfect, you were better than expected and just did everything I had asked, not anything less or more. The greenery was perfect, the compliments were non stop, the lights were beautiful. Ohh we were in awe! Loved everything about it. Thank you to the IL Team and to you Jane and Joel. 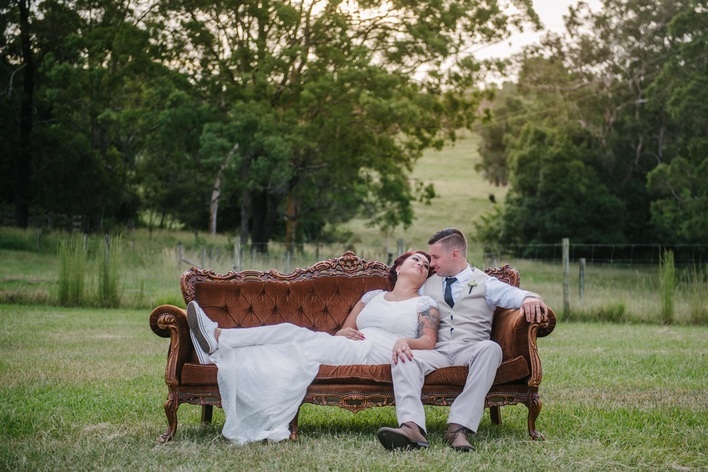 Ivory lane travelled all the way from Tamworth to tocal to decorate our wedding. Amanda did an absolutely stunning job, could not fault one single thing. Her attention to detail was perfect. Jane and Amanda were so approachable from the very start and nothing at all was an issue.. Not to mention the whole Ivory lane team are really really awesome people..
Michael and I cannot thank you and your wonderful team enough! Your finishing touches to the reception finished off the perfect setting for our night! And the ceremony! You did a wonderful last minute job in moving our entire set up inside in the pouring rain! By knowing you were there to fix any problems put me completely at ease for the whole morning! I would like to say a huge Thank you. I had a vision in my mind how I wanted our reception styling to look. On the day, when I first entered the venue I was just blown away, It was exactly what I envisioned and more. It was absolutely stunning, beautiful and breathtaking. So many of our guests commented on how beautiful the venue was decorated. I had most of the pieces for styling but through your experience you included the small details I hadn't even thought of, which believe it or not made all the difference. If anyone is looking for an event stylist i would highly recommend Ivory Lane Event Styling. Jane was highly professional and really organised, which put our minds at ease. Thank you Jane. We really appreciated all that you did. First chance I’ve had since the wedding to express my gratitude to Ivory Lane Event Styling & Hire! Its always one thing imagining and dreaming how you would like your big day to be, but normally its always another thing to how it actually turns out. You both took my dream and turned it into a reality. From the very beginning you were amazing, full of great suggestions and so much love and care went into absolutely every little detail. You understood exactly what I was looking for and just made it even better! Thank you so much for driving all the way from Tamworth to Toowoomba with that MASSIVE trailer on the back. With everything ready to go from the archway to Tiffany chairs to small glass vases. From the ceremony to reception and everything in-between, your passion shone through so not once did i have any doubts, everything was perfect! Manny & I can’t begin to thank you enough for all the time, hard work & early mornings you both put into our big day. 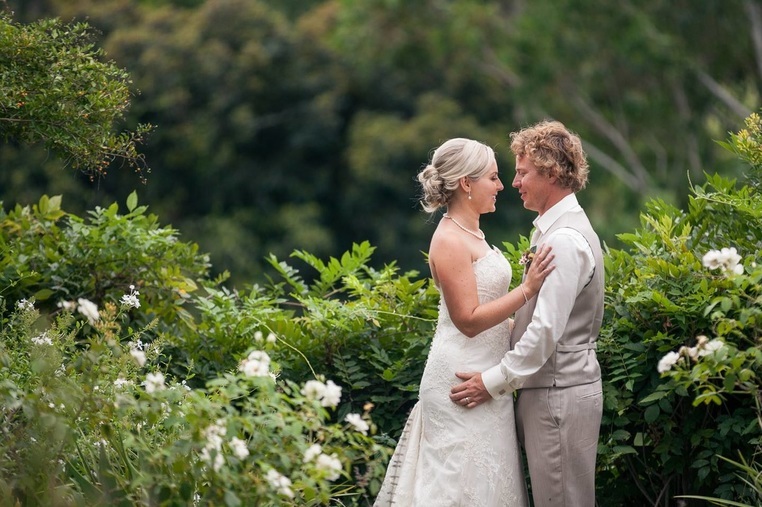 I will be recommending Ivory Lane Event Styling & Hire to everyone here in Toowoomba. I could not speak more highly of Ivory Lane - what a brilliant business! I took a very hands on approach to planning our November 2014 wedding at Tangaratta, and spent a lot of time collecting, sewing and handmaking all sorts of things. We had a very clear vision of what we wanted - fun, fresh, a little bit of vintage/country fair, and lots of fresh flowers. After initially booking a few hire items from Jane, I soon realised that doing everything myself on the day was just not going to work - even with 6 bridesmaids! I booked Jane in to look after our set up and styling on the day - the best decision ever! Jane was so great to deal with and she really understood our vision and gave us some great suggestions and creative ideas. 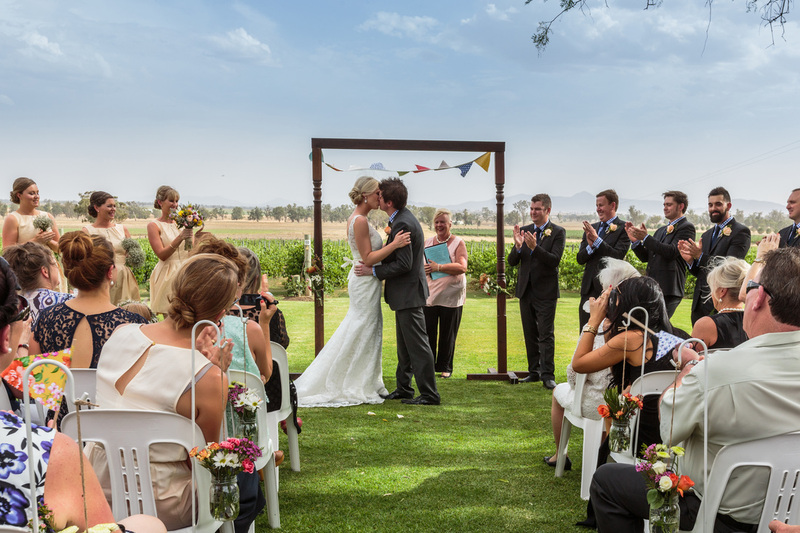 On the day, Jane and Joel went above and beyond (in 41 degree heat!) to create the most beautiful set up. I was so excited to see that Jane had really listened and understood what we were going for - and made it even better than I could have ever imagined. We had so many comments on the day about how awesome it all looked, and it really was magical. 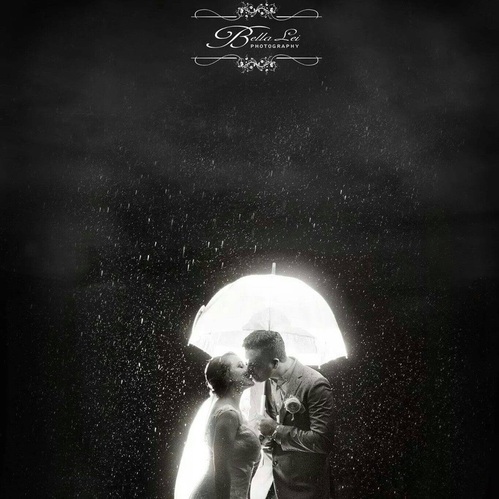 I would recommended Ivory Lane to any bride - great service, creative ideas, attention to detail and such lovely people! Having known Jane for many years i knew she had excellent taste and good planning. When we decided to get married, she was the first person I spoke to about ideas and options for our big day. Jane's professionalism and organisation was refreshing, and she provided great advice but most importantly no pressure to change our ideas or style. As a close friend, I knew I'd be in good hands and that Jane would do a fantastic job, but the end result was amazing, our ceremony and reception was styled beautifully and everything was just so perfect! I can't recommend Ivory Lane more highly. Excellent service, beautiful taste and pieces to match, our wedding was classic yet beautiful! Thank you so much for making our special day so perfect!